Another Radio Frequency Identification (RFID) toll payment system? It certainly looks like it. PLUS Malaysia has just announced its own RFID system and it will kick off a public pilot in Penang and Kedah starting 15 December 2018. As you may know Touch ‘n Go launched their RFID pilot program in September and is now in its second phase. RFID is a new contactless system that will eventually replace card-based Touch ‘n Go and SmartTAG system in the future. Touch n’ Go’s RFID system is slated for an official January 2019 rollout. 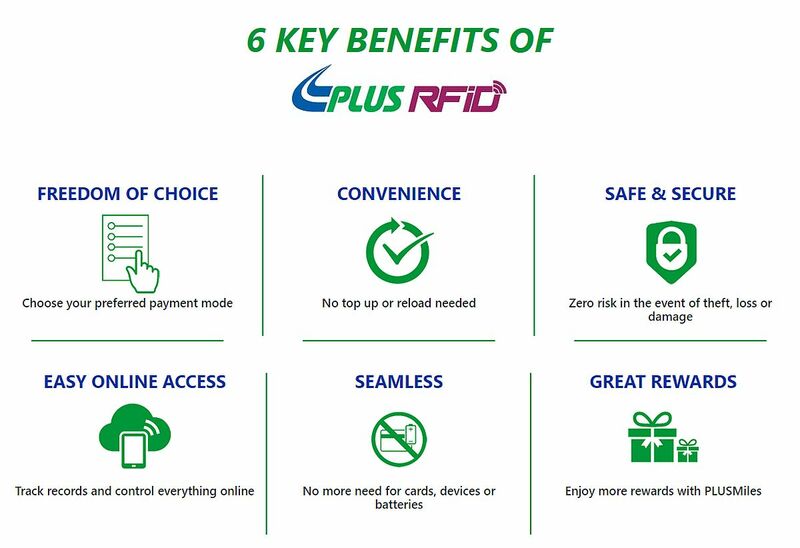 While they’re both based on RFID, there’s a key difference to PLUS’ execution. Unlike Touch ‘n Go, PLUS’ solution doesn’t require an e-wallet that needs to be topped up. PLUS RFID uses “open payment” – payment is deducted directly from your bank account, debit or credit card (including AMEX charge cards). You will be able to use the same RFID lanes as Touch ‘n Go RFID. However, the Penang Bridge RFID lane will be exclusive to PLUS users. To participate in the pilot program, you’ll need to register here, and schedule for a fitment at one of the official fitment centres – Penang Bridge toll and PLUS Section N3 office at Kubang Semang. Similar to Touch ‘n Go’s solution, RFID stickers will be installed either on the windscreen or the headlamp of a vehicle. PLUS prioritises the windscreen placement as it believes it’s the optimum location for the RFID system. Installation should take no more than 15 minutes which includes testing. Have more questions? Read the official FAQ. For more information, visit PLUS.